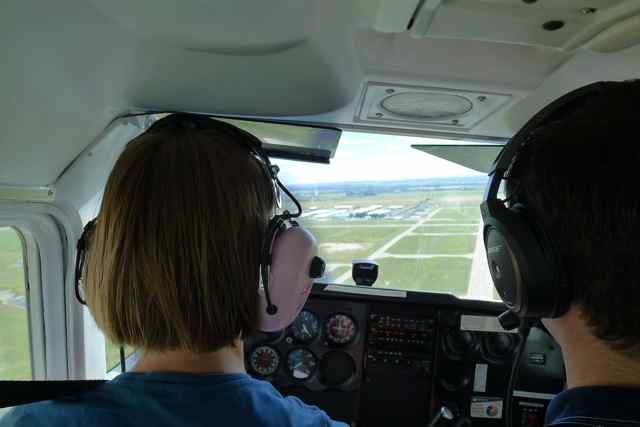 Crosswind landings are one of the most frightening thing to learn for student pilots. For me, crosswind landings were one of the most challenging manoeuvres and probably took me the longest to perform proficiently. This is because they absolutely have to be mastered – you simply cannot fly and not be able to do this. But also with cross wind landings, experience is everything, and the more you do these the better you will be at them, and the more comfortable you will feel. 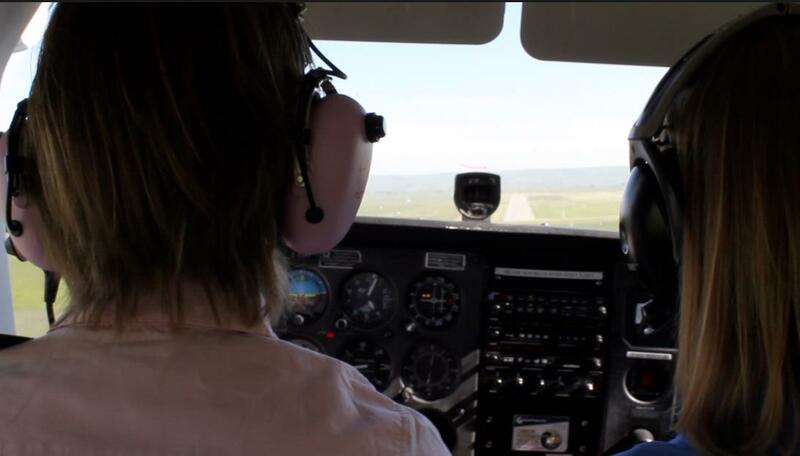 In the beginning when you are only flying with your instructor (dual), they make sure you are very comfortable and proficient at cross wind take offs and landings. 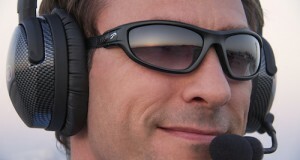 Though on your first solo it is highly unlikely you will be sent up in any crosswind, you have to be prepared. What if the surface wind changes when you are in the air? You are on your own. 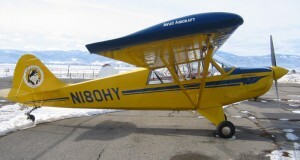 The most popular cross wind landing technique and the easiest is the side slip (different than a forward slip). This is the first one you will encounter when you are learning. In fact, in North American for flight training the side slip is preferred and the crab is largely ignored, until you get into more advanced training and more complex aircraft. 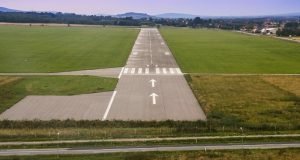 The nice thing with a side slip is that the longitudinal axis of the aircraft is already aligned with the runway, so there is no need to straighten out the aircraft before touchdown. This makes the procedure slightly less overwhelming then a a crab. Cross wind landing techniques. 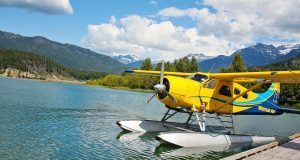 Image from Flying Magazine. In a side slip, the longitudinal axis of the aircraft should be aligned with the runway and one wing, the upwind wing will be pointed down. To enter into a side slip, dip your upwind wing down into the wind, and apply opposite rudder sufficient enough to keep you aligned with the runway and from turning. You will have to adjust the amount of bank required to keep you flying in a straight line. Too much bank and the plane will move into the wind, too little and it will drift with the wind. 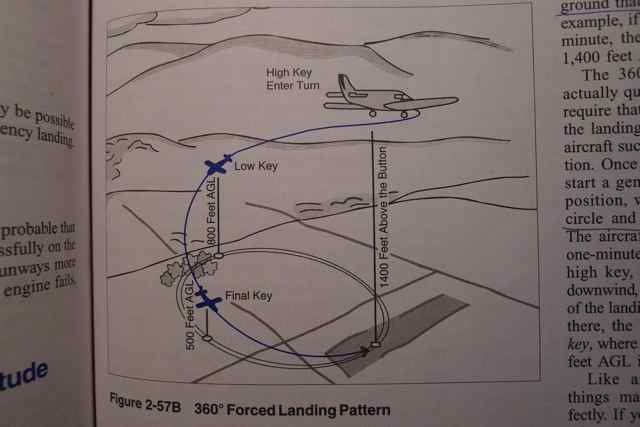 You hold these inputs until the flare, and hold off until the airplane is landed in exactly your approach configuration: you will land on the upwind wheel first. 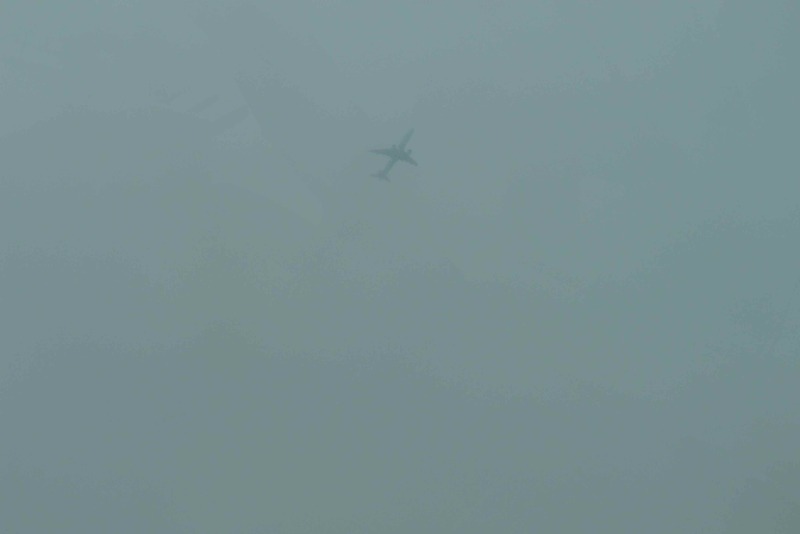 This is awkward at first, but this is usually brief as the downwind wing follows soon after. 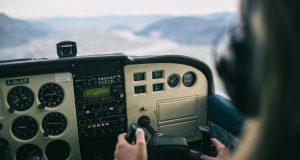 Remember that when we are landing we have to use right rudder to counteract left turning tendencies, so anticipate this and factor it into the amount of rudder you will need when both wheels are on the ground. When the wind is gusty, you will have to adjust your inputs to keep you on track. This is a tricky thing to learn and takes some time. If you practice often, you will get a good feel of how to keep the aircraft under control in gusty conditions. The challenge with side slips is they don’t work for all aircraft types, whereas the crab works for all aircraft. They are also not suitable for instrument approaches (ILS) or gliding for range. The crab is more advanced because the configuration has to be changed just prior to touchdown. 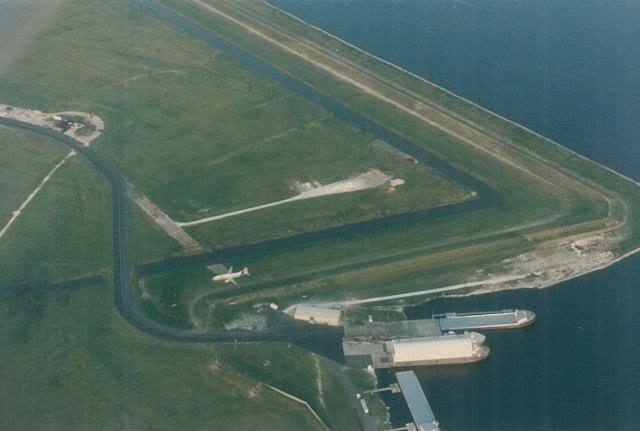 In the figure above note that your aircraft is not pointing straight in a crab approach – it is not aligned with the runway. This means that prior to touchdown, you have to release the rudder inputs to avoid cross loading the landing gear. To enter a crab, point the nose into the wind and maintain wings level. Your nose will be pointed into the wind, unlike a slip, and your wings will not be dipped but level. Just prior to your wheels touching the ground, remove the drift and use the rudder to align properly with the runway. 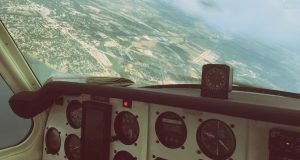 As you can imagine, it is more challenging simply because your heading and track are offset and you must quickly straighten the airplane at the proper moment. When judging when to straighten the airplane out, it is better to do it too early than too late. It takes a bit of time for the airplane to be sufficiently affected by the drift to cause you serious problems. If you remove them too late, you will have a much bigger problem where you can cross load the landing gear, possibly damaging it, or worse. Use wind aileron throughout the roll. Crab landing in an airliner. Image courtesy of The Blaze.com. 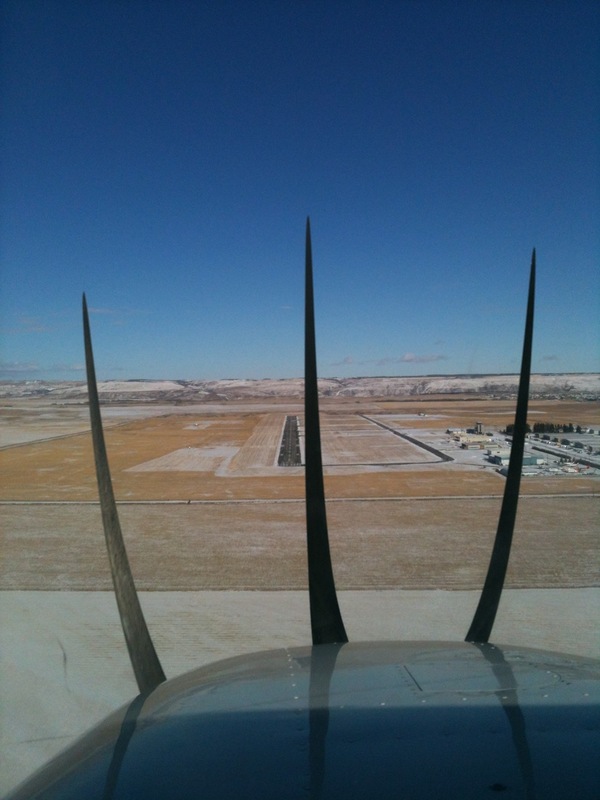 This photo is an example of a fairly extreme crosswind landing. If the wind is causing this jet to crab so steeply, you can imagine that it is too strong and unsuitable for a smaller aircraft. Typically, it’s a good idea to always use flaps on approach, except in the case of a strong crosswind. The increased surface area of the wing just gives the crosswind more opportunity to blow you around, and when the crosswind is strong, don’t use flaps, or use less flaps in a moderate crosswind. 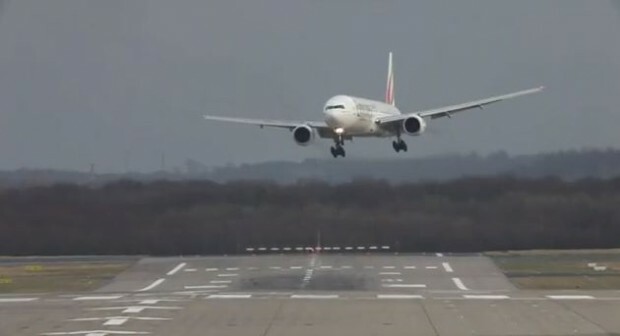 How about a crosswind takeoff?